Has the hustle and bustle of the holidays got you stressed? 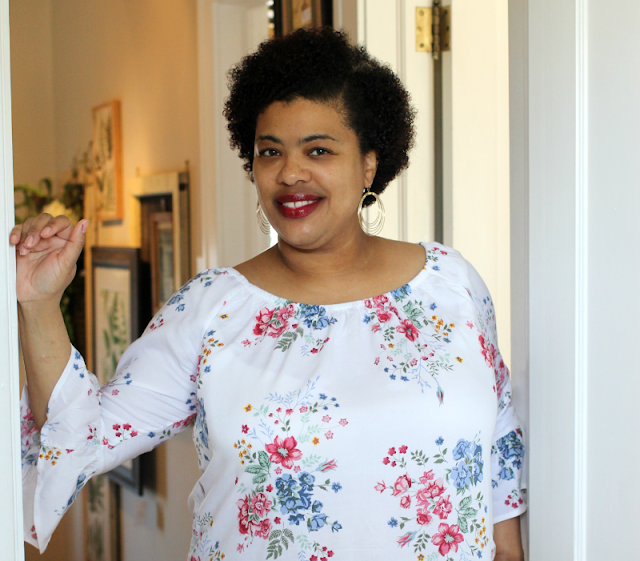 This is my absolute favorite time of year but sometimes all the extra errands, holiday gatherings, and searching for the perfect Christmas gift can be overwhelming. Well, it's time to take a mommy time out to get some much needed "me time". Take a load off this Christmas and slip into a warm bath of pampering treats from Mr. Bubble. I was sent a courtesy box of Luxe by Mr. Bubble bath and body treats to help me take my own personal mommy time out because hey, I need it! And if you are still looking for the perfect Christmas gift or stocking stuffers for the ladies in your life these are great ideas. Pamper yourself with a long soak using Mr. Bubble Bubble the Day Away Powdered Bubble Bath. Got a girl that loves milk and cookies? This Mr. 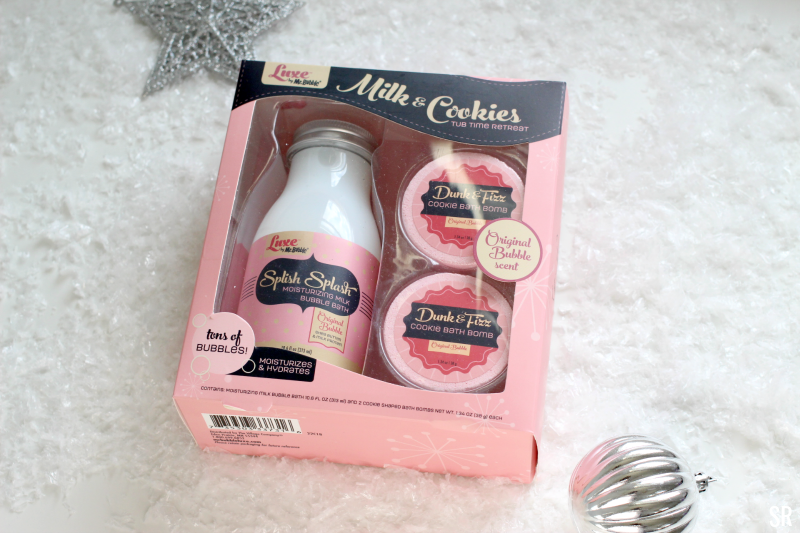 Bubble Milk and Cookies gift set is just what she'll love. Relax in a rich warm milk bath and dunk the cookies inside. The original bubble sent and has coconut oil and shea butter to help nourish your skin. For all my sisters that love a drink every now and then, this Mr. 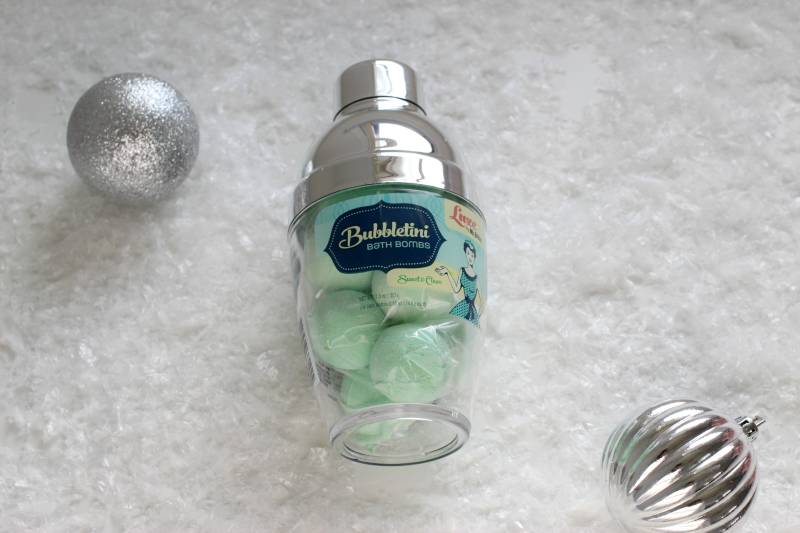 Bubble Bubbletini Bath Bomb set makes the perfect gift. Get your "me time" on by dropping a bath bomb under running water for soft skin. You can save the shaker to mix up your favorite drink when you're done. Treat yo self with Mr. Bubble Give Me Some Sugar body scrub and exfoliate dry skin with moisturizing ingredients like Jojoba, Shea butter, and coconut oil. 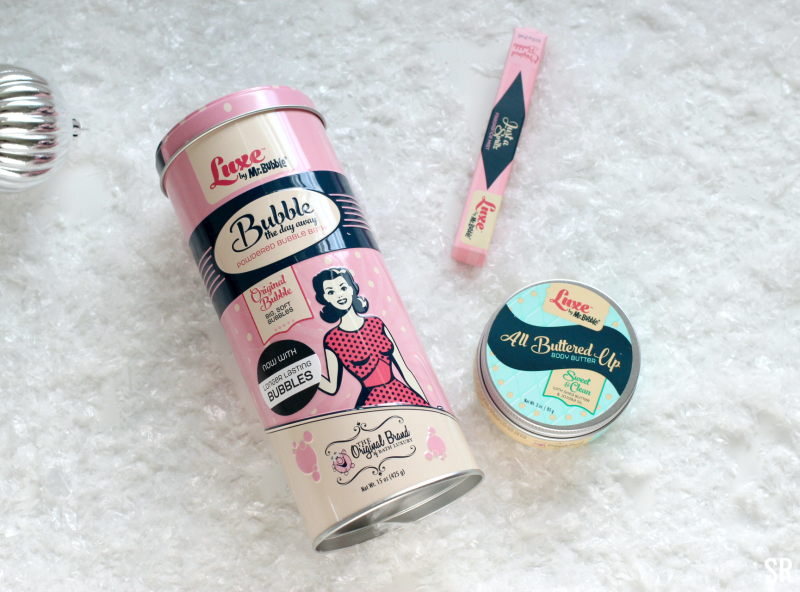 It comes in Original Bubble, Sweet Clean or Sparkling Sorbet. Yummy! When you're done, lather yourself with the Mr. Bubble Travel Size All Buttered Up Body Butter that is enriched with shea butter, jojoba, and coconut oil. They come in the same three scents as the sugar scrubs. Finish off your day of pampering with a spritz of Mr. Bubble Travel Size Just a Spritz Fragrance Mist. Girl, now you smell so sweet! You can find these Luxe by Mr. Bubble gift sets at your local ULTA and guess what? They're on sale until Dec. 22nd. So hurry and save you some cash sister girl! Oh, and you can find these shower bombs and bubble bath right at your local target. Now you've got just what you need to pamper yourself or your friends during the holidays. Which is your favorite Mr. 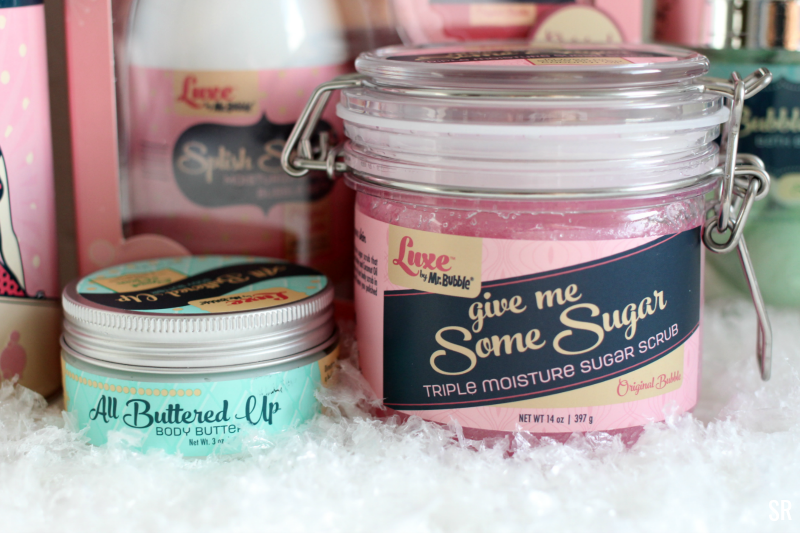 Bubble bath and body treat? Wow never heard of this brand and I shop at Ulta all the time! Not a mommy, but I can use some goodies like this for some r&r! Such cute packaging, I will have to check out this company. I am all about treating myself and relaxing. Never tried any of them. I haven't soaked in a tub in a few months. That would be nice right now. These are cute. My son monopolizes the master bathtub these days, but the bath bombs seem like good gifts. 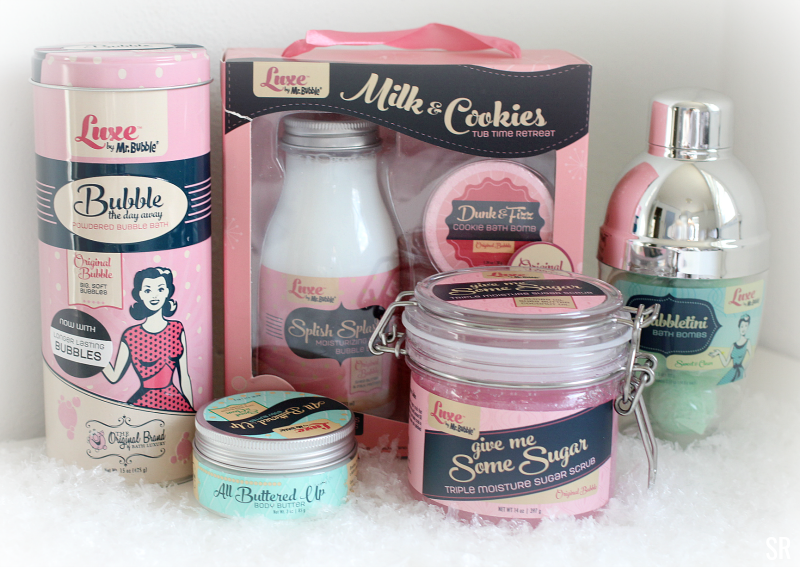 This post has really got me wanting milk, cookies and a bubble bath! LOL! 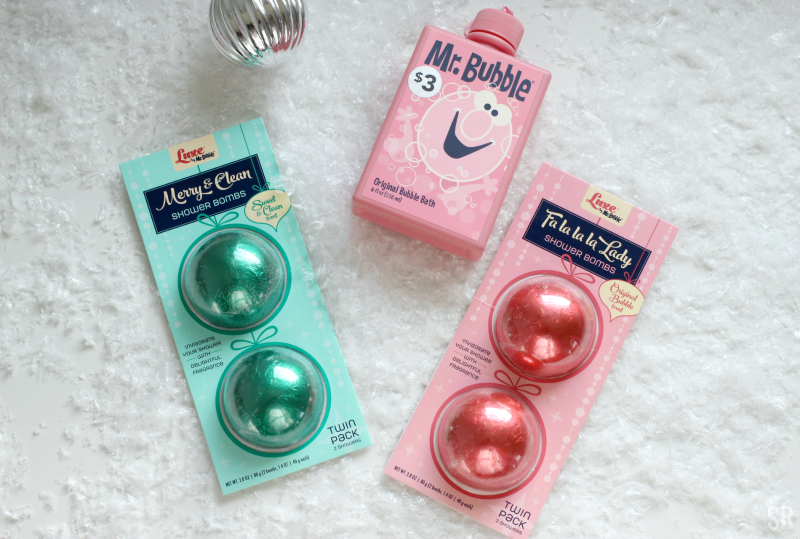 These gifts are so cute and perfect pick-me-up during the hectic holiday season. OMGoodness that body scrub is what I need in my life right now. I've got so many bath bombs from gifts that I haven't used them - yet. Love, love, love! I see another Christmas present in my daughters future. 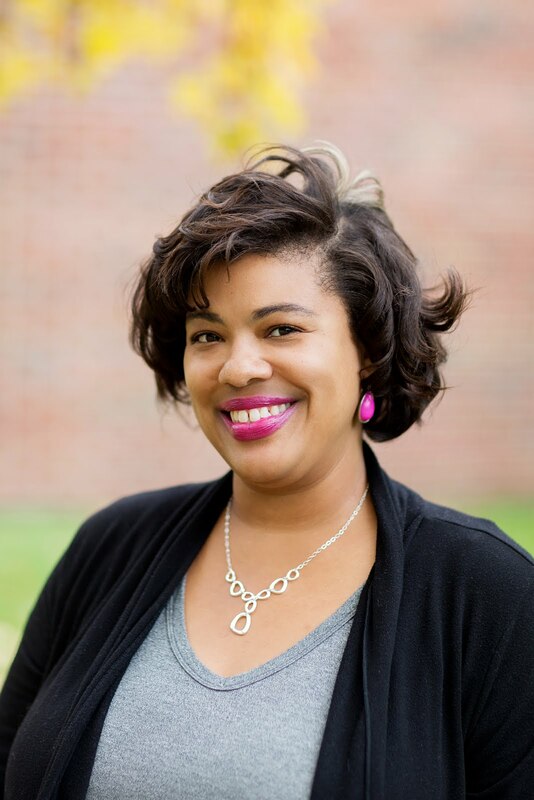 She loves anything bath related from soaps, bubble baths, bath bombs.. do you have links? I seriously LOVE this brand of products. A few Christmases ago, I was in NYC and I'd lost my red lipstick. I picked up their peppermint one and I've been in love ever since. I would try these off the branding alone, it’s so cute and creative. I need to make sure I include some “Me Time” this holiday season. Ooh! These are great stocking stuffers! I need t grab some for myself! Omg! This set is so perfect. Great post. The packaging is sooo cute! I love the retro vibe of it. When you posted about it on Instagram it made me want to have it all!